Though the primary responsibility women took on in the armed forces itself was nursing, women at home in Canada took on the task of producing weapons and supplies to send to the front. 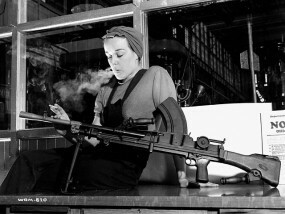 One such notable example is of Veronica Foster, an employee at the John Inglis Co. Ltd. Bren Gun plant in Toronto, known through Canadian war industry promotional materials as Ronnie the Bren Gun Girl. Ronnie is famously pictured in overalls, smoking a cigarette as she surveys an assembled Bren machine gun. This representation of a woman worker producing implements of war contrasted with traditional domestic scenes of women in private life. Jessie Georgina Sime wrote about such female factory workers in her short story Munitions! published in 1919. In a series of photographs called Private/Public Lives from the Library and Archives Canada War Records—Manufacturing collection, the Bren Gun Girl is also pictured smoking, drinking beer, and jitterbugging at a factory dance. These representations promoted the image of normalcy on the home front, but also implicitly promoted a popular image of women that women could adapt to the hardships of war and to work in the public sphere as well as man. Of course, representations of women during the World Wars were not entirely without bias, despite the seemingly progressive representations of Ronnie the Bren Gun Girl. Another popular war industry poster girl, Mrs. Jack Wright, is pictured as a dedicated wife and mother, spending time on the beach with her children, tucking them into bed, and visiting the neighbours. In a single photo, she is pictured boarding a bus, possibly to work at a factory, but in traditionally feminine dress; a stark contrast to the masculinized image of Veronica Foster. 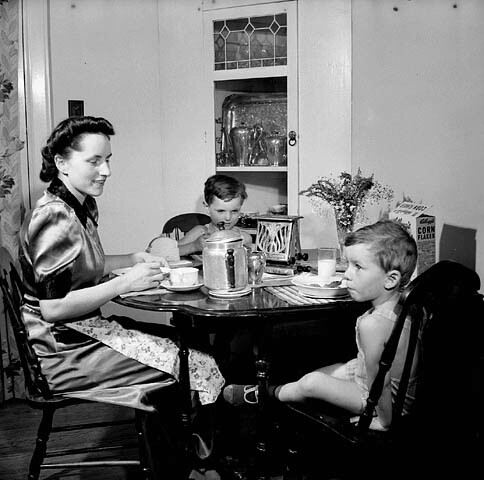 The series of Mrs. Jack Wright photographs gesture less to a masculinized role at work on the home front, but rather, total normalcy, as if to suggest to soldiers that the traditionally private space of family life remained untouched by the ravages of war. Although women were full participants in the World Wars, their role is largely undocumented or unknown. Ronnie the Bren Gun Girl is often overshadowed by her American counterpart, Rosie the Riveter, and women’s role in the official history of the Wars does not comprise more than a footnote. However, in a significant genre of Canadian fiction, the war novel, contemporary writers have begun to rewrite histories from a feminine perspective, such as J. G. Sime’s collection of stories Sister Woman (1919) and Frances Itani’s Deafening (2003). Canadian literature continues to diversify the way in which we remember and memorialize war. Briggs, Marlene. Women, War and Amnesia. Canadian Literature 195 (2007): 163–165. Print. Gass, Clare, and Susan Mann. The War Diary of Clare Gass. Vol. 9. Montreal: McGill–Queen’s UP, 2000. Print. MacPherson, Andrea. Beyond the Blue: A Novel. Toronto: Random House, 2007. Print. McNeill, Laurie. Recovering Women’s Lives. Canadian Literature 172 (2002): 149–151. Print. Thompson, Eric. Canadian Fiction of the Great War. Canadian Literature 91 (1981): 81–96. Print. Briggs, Marlene. Women, War and Amnesia. Canadian Literature 195 (2007): 163–65. Print. Library and Archives Canada. Public/Private Lives. War Records—Manufacturing. Government of Canada, 5 Sep, 2007. Web. 14 Nov. 2012. McNeill, Laurie. Recovering Women’s Lives. 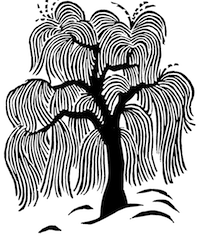 Canadian Literature 172 (2002): 149–51. Print.